Famicase 2017 is a go! 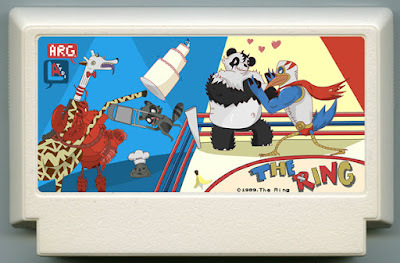 Check out our game, The Ring, done by our resident artist Andrew Gallardo. 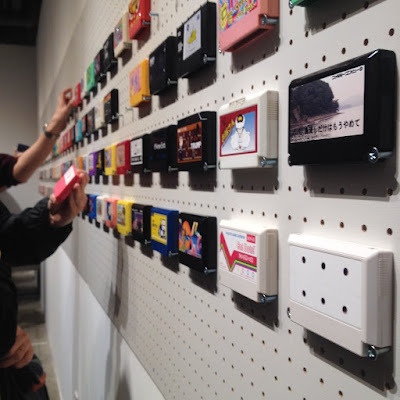 The annual Japanese art show features fake Famicom games that look so good that they should be real. Artists from all over the world enter it. Synopsis: The only ring is the ring you put on their finger! Get into the wrestling ring and then earn the love of your potential mate in this dating sim. Heartbreak and broken bones is only the beginning as you fight it out in the ring for the ring and for the most important thing in the universe, love! We'll share more when the whole gallery goes up...hopefully soon!